1.What is the benefit of the 8°inversion and a 3°inclination design? 2.What does the S900’s total weight of 3.3kg include? The 3.3kg total weight includes the S900 main frame, center board, arms, motors, propellers, landing gear, and other small parts that are mounted on it. 3.The frame arm connectors and motor mounts are now made of plastic, is this reliable? The S900 uses high strength, performance engineered plastics, greatly reducing weight while increasing stability and strength. The material has passed both our 72-hour flight test and low and high temperature tests. 4.Can the S900 carry the Sony RX100 camera? The S900 can carry the DJI Z15, Z15-BMPCC, Z15-GH3, and Z15-GH4 (HD) gimbals, which do not support the Sony RX100 camera. 5.Can I fly the S900 with Naza-M V2 flight controller? The Naza-M V2 supports 9 types of traditional motor mixer including hexacopter and octocopter, but because of the S900’s large takeoff capacity, we suggest you fly the S900 with a DJI A2 or WooKong-M flight controller. 6.Can I use the Dropsafe on the S900? What gimbals can I use with the Dropsafe? 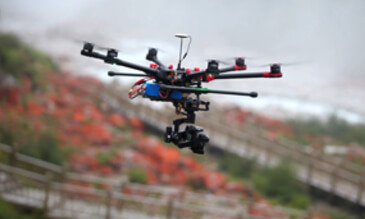 The Dropsafe is fully compatible with the DJI S1000 and S900 flying platforms. You can use the DJI Z15, Z15-BMPCC, Z15-GH3, Z15-GH4 (HD) gimbals while using the Dropsafe on the S900. 7.Can the S900 carry the Nikon D800 camera? The S900 can carry the DJI Z15, Z15-BMPCC, Z15-GH3, and Z15-GH4 (HD) gimbals, which do not support the Nikon D800 camera. 8.Can I fly the S900 with a WooKong-M flight controller? Yes, the S900 works perfectly with both the DJI A2 and WooKong-M flight controllers. 9.What battery should I use on the S900? The S900 uses a 6S LiPo 10000mAh-15000mAh, 15C (Min) battery. 10.Are the S900 assembly and installation steps the same as the S1000? The S900 is a little different from the S1000, please watch the S900 Assembly Demonstration. 11.What is the S900’s maximum flight speed? The S900’s maximum flight speed is 16m/s when using either an A2 or WooKong-M flight controller and with no payload (only the 3.3kg original weight), but we don’t recommend that you fly at this speed. 12.What is the maximum ascent speed for the S900? The max ascent speed for the S900 is 6m/s when using either an A2 or WooKong-M flight controller with no payload (only the 3.3kg original weight). 13.What are the gain value settings for the S900? 14.Can the S900 carry the Zenmuse Z15-5D gimbal? No, the S900 can only carry the DJI Z15, Z15-BMPCC, Z15-GH3, and Z15-GH4 (HD) gimbals. 15.Can the S900 really fly for up to 18 minutes? The maximum flight time is tested using a 6S 12000mAh battery on a windless day with a total flight weight of 6.8kg, hovering at a height of 2 meters. 16.What is the total weight of the S900? What is its takeoff weight? The total weight of the S900 is 3.3kg, and its takeoff weight is 4.7-8.2kg. 17.What DJI products or accessories can I use with the S900 to make a complete aerial photography solution? You can fly the S900 with the DJI A2 or WooKong-M flight controller, 2.4Ghz Bluetooth datalink, iOSD MARK II, DJI Lightbridge HD video downlink and Zenmuse Z15 gimbals to enjoy a total aerial photography solution. 18.I’m using the Z15-5N gimbal, but the gimbal cannot complete its initialization and the landing gear is too short, what can I do? Please buy and install the S900’s extended landing gear if you want to use it with a Z15-5N gimbal. 19.What are the main differences between the S900 and S1000? 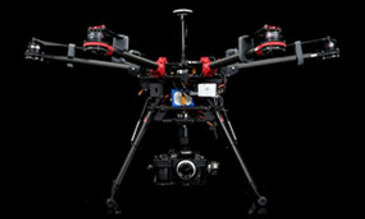 The S900 is a hexacopter (six propellers) with a V-type motor mixer. It can carry the DJI Z15, Z15-BMPCC, Z15-GH3, and Z15-GH4 (HD) gimbals. It also has a removable upper center board and a redesigned, rebuilt power distribution system that improves safety and reliability. The S1000 is a larger octocopter (eight propellers) with a V-type motor mixer that can carry any of the Zenmuse series of gimbals. 20.What are the advantages of the S900 over the S800 or S800 EVO? With arms that fold in to save space, the S900 is built to be taken wherever you need to go. Then when you want to fly, it can be ready to go in just a few minutes. It also has a removable upper center board and a redesigned, rebuilt power distribution system that improves safety and reliability. Its latest motors adopt a single-wire stator design, offering improved heat dissipation, better performance, and a more reliable system.